Up to 8,000 people are expected to don their country wear on Sunday and find out what farm living is like without even leaving Canberra. The inaugural Majura Valley Bush Festival aims to introduce Canberrans to a farming community dating back to the early 1840s which sits on our doorstep. Located to the north of Canberra airport and only six kilometres from the city centre, the Majura Valley is home to some of the region’s finest fresh produce and boasts strong ecotourism potential. It is also rich in local history and promises festival-goers the chance to explore the stories, buildings and walking trails which have been part of the area’s past. “The day has been carefully planned to showcase what treasures the Majura Valley farming community has to offer the broader community of Canberra and the tourism industry,” said event organiser and co-chair of the Majura Valley Landcare Group, Sherry McArdle-English. Ms McArdle-English said attractions would include a display of the original vintage horse-drawn carriages used in the Valley in years past, as well as whip cracking displays and wood chopping. Children’s activities include farm animal petting, merry-go-round rides, face painting and hay rides. “There will be walking tours along historic trails leading to the original Post Office and Church/Community Hall, which are still standing in the Valley,” she said. 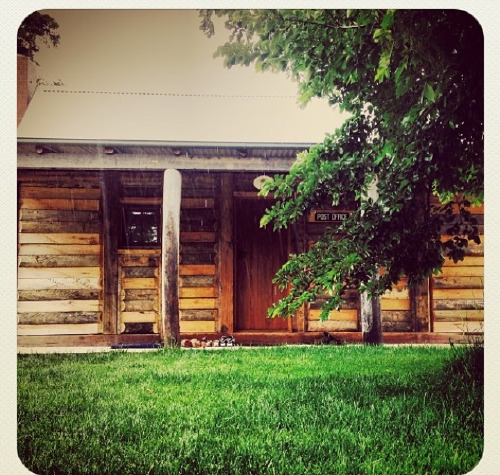 Below is a photo of the Majura Valley Heritage Post Office. “People will be able to sit and enjoy displays of equestrian riding, watch the Stockman’s Challenge, or encourage their young family members to be involved in egg and spoon races, sack races, and three-legged races,” Ms McArdle-English said. Visitors to the festival are welcome to bring a picnic lunch with them or to purchase such delights as Majura Valley-produced barbequed lamb, beef and garden salads and fresh corn, as well as locally-made ice-cream. Mt Majura Wines, Majura Valley Eggs, and Majura Honey will also be selling their produce on the day. A map of the festival attractions is seen below. Ms McArdle-English calls the Majura Valley the “jewel in the crown of the Bush Capital” and is herself a former resident, having bought the Glen Mile Estate in 1999. She established the French Black Truffles business in 2004 and remains a strong supporter of the area. Ms McArdle-English said that farming started in the Majura Valley under the umbrella of Duntroon, which gave people land grants. The Woolshed Creek, which is still there today, made the area attractive to farmers and soon there was a thriving farming community in the Valley. “It has a strong farming history of strong men and women who loved the land and were passionate about establishing a farming community across the valley,” she said. Back in the 1800s, there were more than 300 people living in the Majura Valley and three schools for the children. Today there are 13 leaseholders in the Valley and each one runs an active farm. The advent of the Majura Parkway has seen a major road run through their valley but the farmers see this as an opportunity to showcase their rural attractions to the thousands of motorists who travel along the road each day. Sunday’s festival will include a heritage book launch as well as talks about the area’s history. There will also be ‘walks and talks’ about the area’s indigenous history presented by Wally and Karen Bell. The inaugural festival has chosen to support Canberra charity ‘Friends of Brain Injured Children’ and all money raised from the rides run on the day will be donated to the organisation. The festival runs from 9.30 am to 4.30 pm on Sunday, April 30, and tickets are $10 for cars and $5 for bicycles, motorbikes and horses. Due to the large crowds expected, anyone planning to attend the festival is encouraged to book online through Eventbrite (please click on the link for details). Part of Majura Road is being closed by the ACT Government for the event and entry to the festival will be from the airport end only (Mustang Avenue and Majura Road roundabout). There will be no entry from the north of Majura Road. 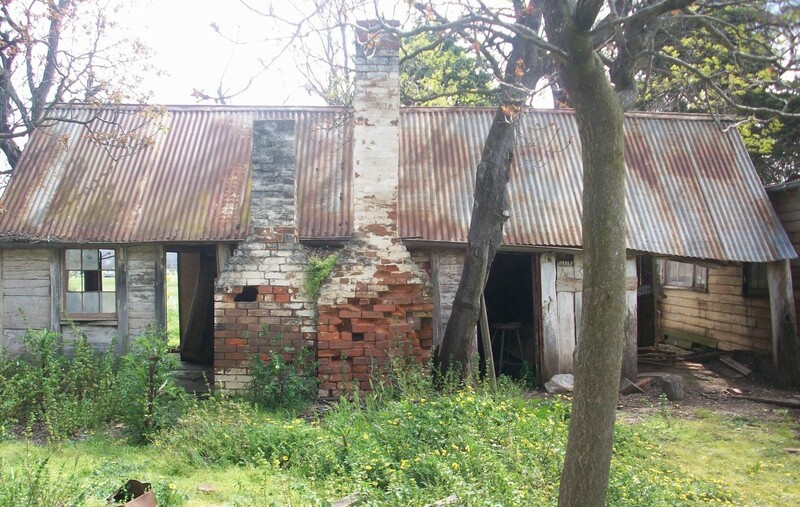 The top picture is of the weathered ‘Gladefield’ building constructed in the Majura Valley by John McIntosh in 1863 and still standing. John and his wife Eliza raised 12 children on the farm. All photos supplied by the organisers.